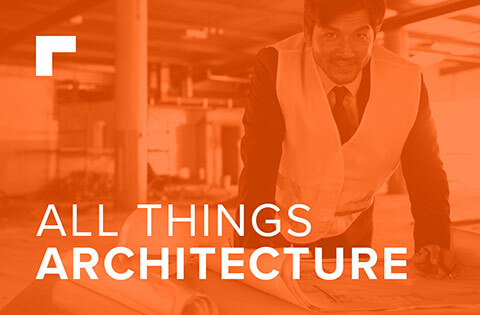 Grey is one of the most common colours for both industrial and commercial environments. There are a number of possible reasons why architects, designers and facility managers opt for grey, perhaps because it looks fresh and clean, because it provides a neutral backdrop or even because other colours and shades can be used alongside it in the form of demarcation that stands out perfectly against the impartial colour. It is almost a guarantee that every time you step out of the door, you are likely to find resin flooring in a number of grey shades. Don’t believe us? Let’s share some examples with you. 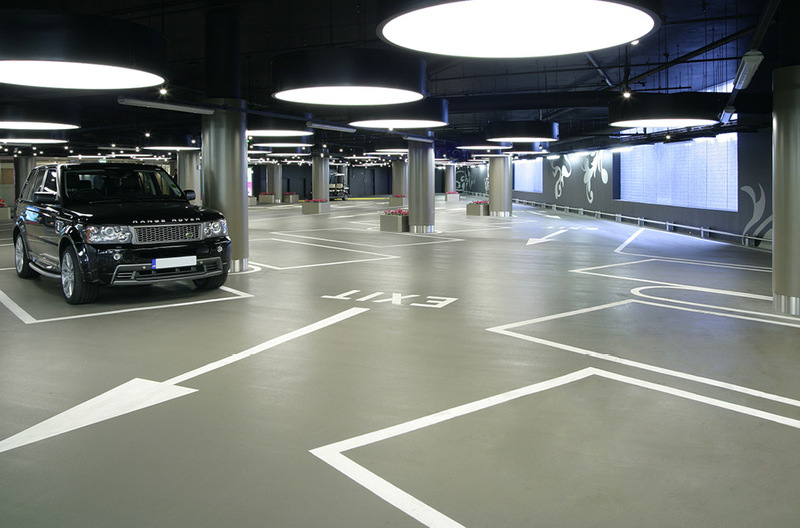 One environment where grey flooring is most often used is car parks. 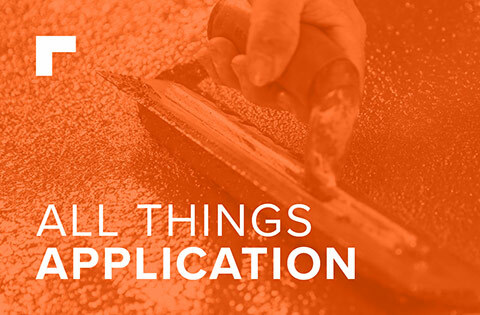 Deck coatings come with numerous benefits that suit car parks down to a T, from chemical and slip resistance to noise reduction that limits the amount of tyre squeal experienced by users. More often than not, suppliers of deck coatings also offer demarcation, which can be in the form of MMA based line-marking paint. 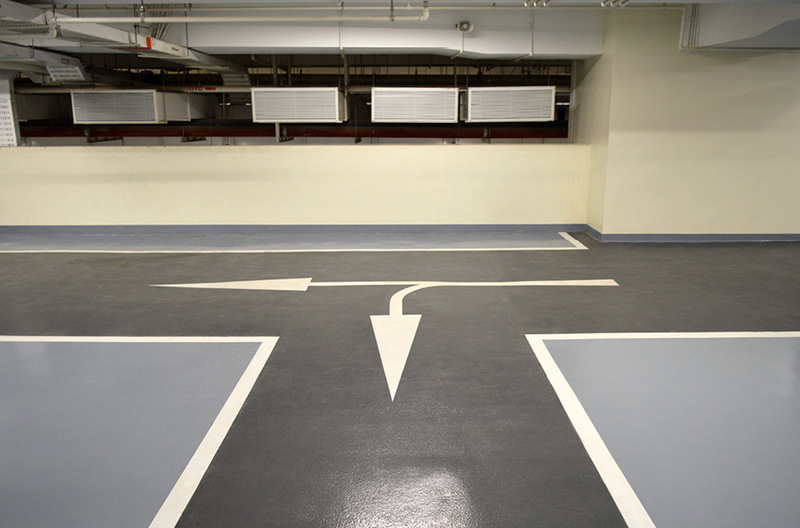 This paint is used to mark out parking bays, the middle of the road, direction arrows for the flow of traffic and much more. 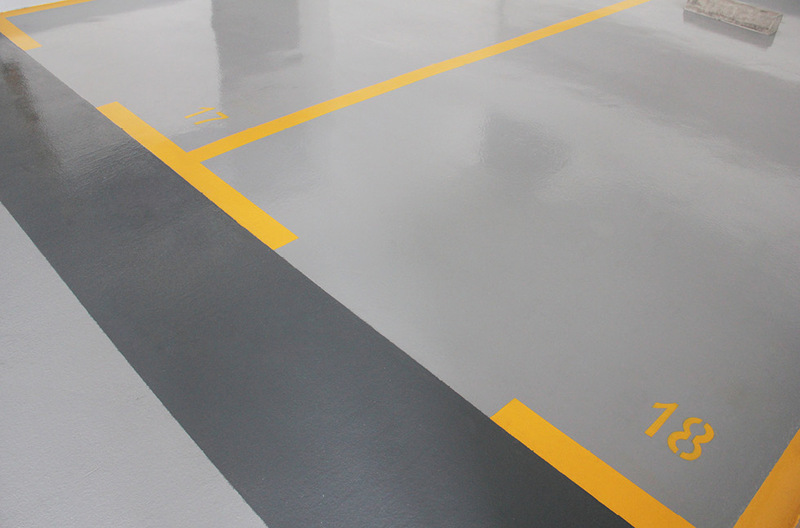 With demarcation paint available in a number of colours, and the importance of this being clearly visible to drivers, a grey deck coating can provide the ideal backdrop to help showcase more brightly coloured line markers. Numerous shades of grey can also be used to highlight where the road area ends, and the parking bays begin. Again, this is more clearly outlined with contrasting coloured demarcation. From your company car park right through to your office, it would be no great surprise if the colour grey follows you. 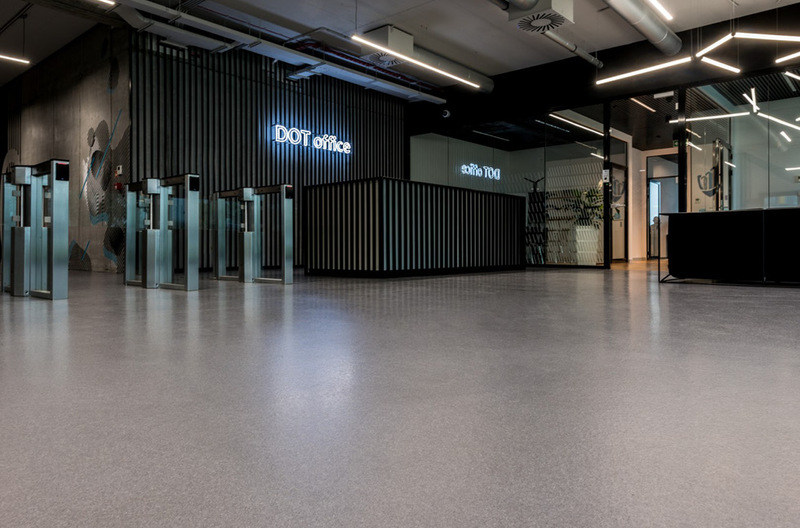 Reception areas are often the epicentres of offices, and these social hubs require flooring that will minimise the appearance of scuffs, footprints and scratches. Grey is the ideal middle ground, not too dark that scratches show up like scars, and not too pale that shoe scuffs are visible. Of course, grey can also be used to generate a specific aesthetic. 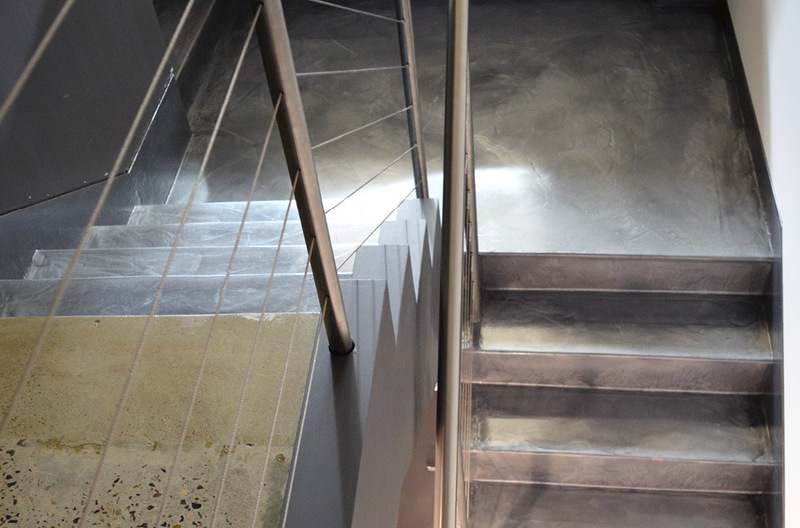 The stairs shown above join a ground level warehouse with an office environment, and the grey metallic flooring was required to bridge this gap. By generating an industrial aesthetic here, which was complemented by urban looking furniture in the office space, the client created a very modern and metropolitan ambiance. It is not only office spaces that are utilising industrial aesthetics. More and more often we are seeing this urban style seep into commercial environments. 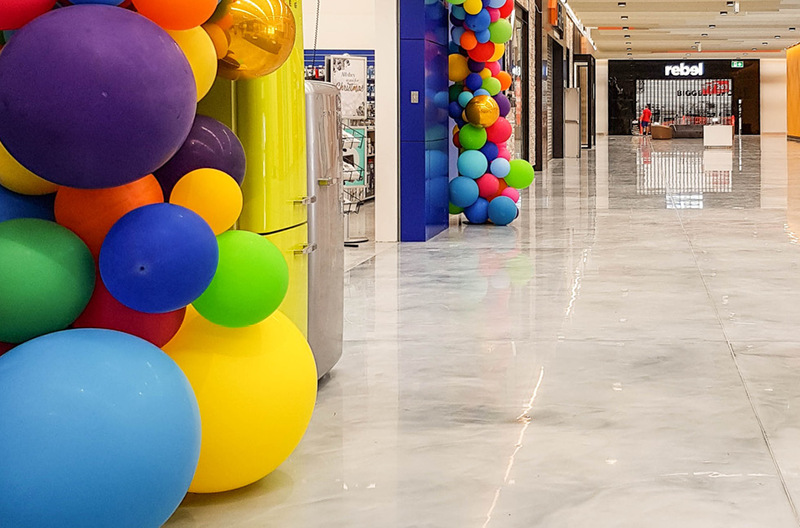 Utilising grey resin can give the illusion of polished concrete, which can look extremely effective in spaces such as shopping centre main walkways that are likely to be flanked by brightly coloured storefronts with branded interiors. Different shades of grey hues can be used to a much more decorative end in shopping centre spaces too. 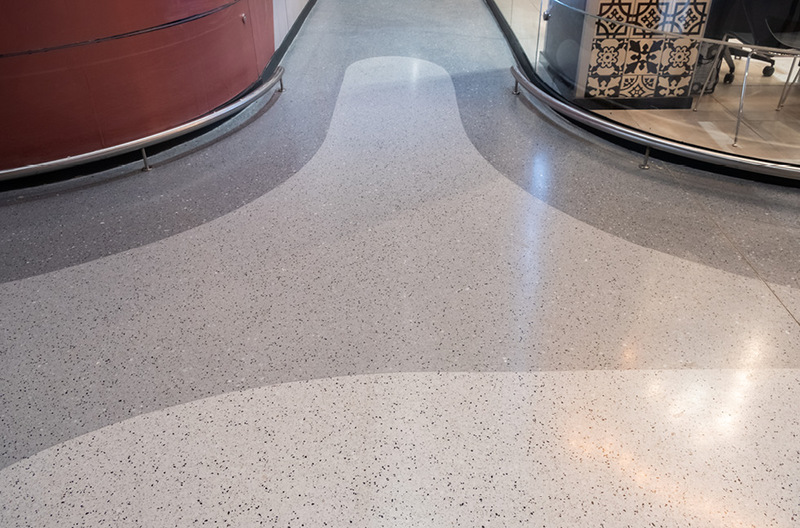 Here, three different shades have been installed in a seamless wave pattern, giving a modern yet decorative feel to the floor. 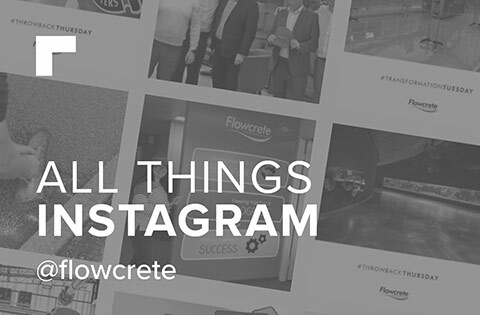 Last but not least, grey is a reoccurring colour used in industrial environments, but this is not always the dark, drab and muted result that may spring to mind. 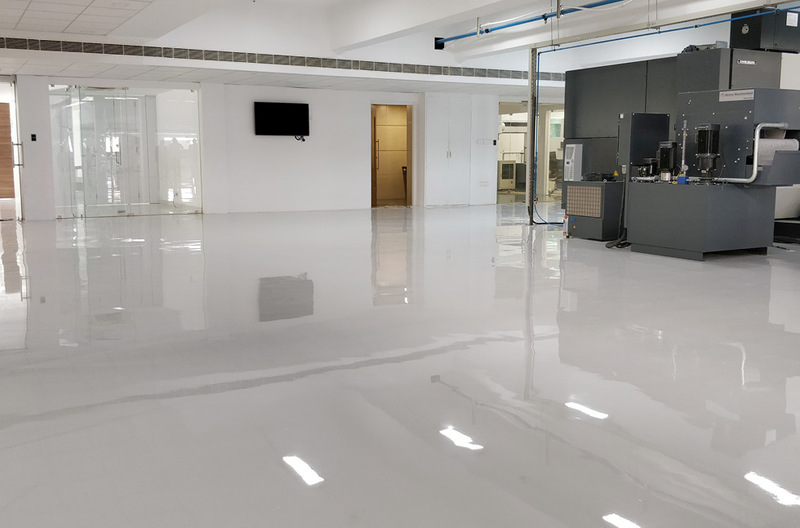 The high gloss finish in this aerospace facility not only looks extremely effective, but also has added safety benefits. 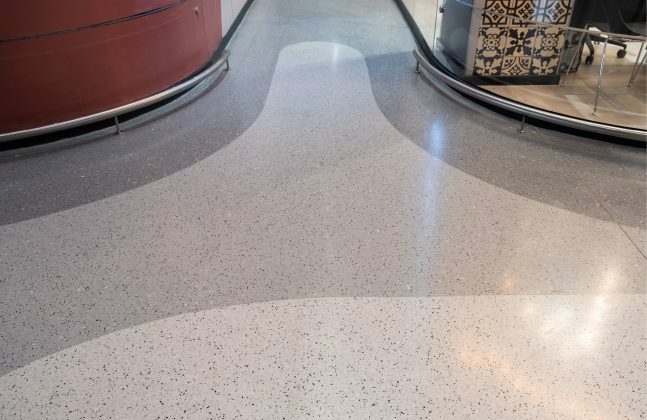 The epoxy-based system has incorporated anti-static properties and is extremely hard-wearing, meaning that it is able to withstand the challenges presented in such an environment. 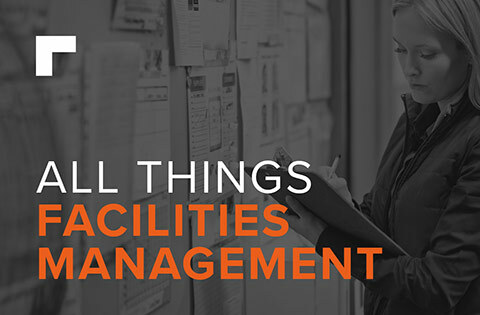 Furthermore, having one single colour means that any dropped items or spillages would be very clear to see, and could be quickly cleaned up or wiped away before causing harm to staff or visitors. Thanks to the numerous applications and multiple shades, it is no wonder that grey is such a poplar colour choice for flooring. Which shade would you choose?